At Brookvale Mazda we have the full range of BT-50’s on display, with fully trained BT-50 experts there to guide you with all the information you need on the BT-50 range and accompanying accessories. Don’t miss out on a thing while your BT-50 is being serviced. Brookvale Mazda will proved you with a BT-50 service loan vehicle. Take your BT-50 off-road driving skills above and beyond with free 4×4 driver training courses available upon your request. 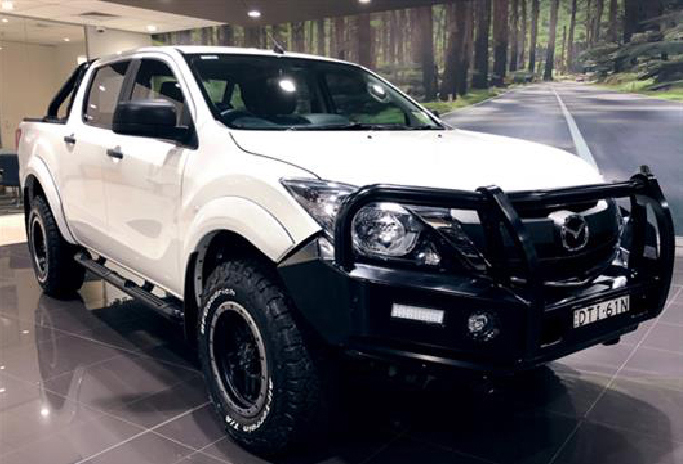 Explore our select range of rugged extras, designed to make your BT-50 truly yours, available to view and test out on your BT-50 at every Ute Centre.